Cape Cobras moved to the top of the table after the second round of the 4-Day Franchise Series, beating Lions by an innings and 71 runs at the Wanderers in Johannesburg for their second win in two games. Their victory was set up by hundreds from Janneman Malan and David Bedingham in Cobras' first innings, and sealed with a day to spare by a seven-wicket haul from captain Dane Piedt. Malan and Bedingham's hundreds, their first for Cobras in four-day matches with both men having moved to the franchise this season, were accompanied by three fifties in a dominant batting display as Cobras reached 529 to take a lead of 425. Stephen Cook managed a rearguard century in response, but Lions collapsed from 341 for 4 in the 96th over to 354 all out in a matter of seven overs to hand Cobras 25.7 points. 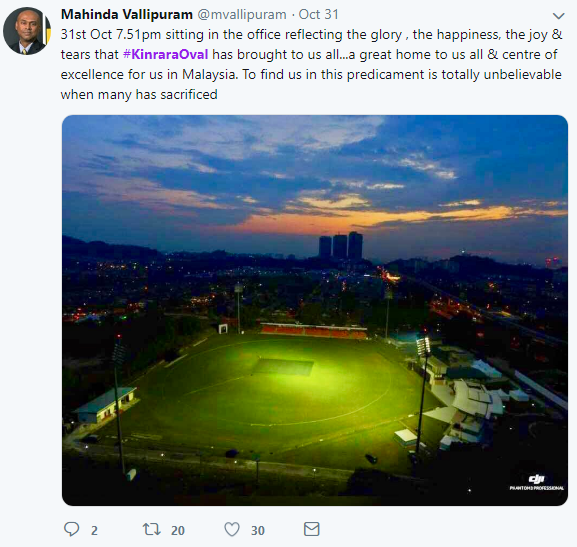 KUALA LUMPUR: The Malaysian Cricket Association (MCA) hopes Prime Minister Tun Dr Mahathir Mohamad will resolve the Kinrara Oval issue with the developer of the land. Its president, Mahinda Vallipuram said, the national cricket governing body had handed over a summary of the case during a 45 minute meeting with the Prime Minister's political secretary, Abu Bakar Yahya at the Perdana Putra, today to bring the issue to Mahathir's the attention. "We believe losing the iconic ground is not only a tremendous loss for MCA, but also the country. We are appealing for the Prime Minister's help to resolve the issue. "We do not know what will be the next course of action, will wait for Tun's advice," he said when contacted by Bernama. MCA was asked to vacate the Kinrara Oval, Puchong, where their headquarters, national players' hostel and training ground have been located since 2005, by the developer of the land when the lease tenure ends on Oct 31. Yesterday, some national players, including national men's team captain Ahmad Faiz Mohammad Noor and women's team skipper, Winifred Anne Duraisingam as well as MCA officials held a rally at the Putrajaya to meet Mahathir. The Prime Minister is currently attending the inaugural Asean Leaders' Gathering (ALG), held simultaneously with the annual meetings of the International Monetary Fund (IMF) and World Bank from Oct 8 to 14 in Bali, Indonesia. Among the tournaments hosted at the Kinrara oval were the 2008 Under-19 (U-19) World Cup, 2006-07 DLF Cup played between Australia, India and the West Indies (seven matches), 2017 Asian Cricket Council (ACC) U-19 Asia Cup, 2017 SEA Games and ACC Women's Asia Cup. Recently, the Pakistan Cricket Board (PCB) picked the Kinrara Oval as its home to play its women's limited-overs series against Australia on Oct 18-29. PUCHONG: The Malaysian Cricket Association (MCA) have no plan B to save their home — the Kinrara Oval. MCA president Mahinda Vallipuram said the national association aim to stick to their guns. Last Saturday, it was reported that the five-hectare Kinrara Oval in Puchong is to be reclaimed by Permodalan Nasional Berhad (PNB) on Oct 31. Mahinda, who held a press conference at the Kinrara Oval today, said he is optimistic a civil discussion with the parties involved can lead to a positive outcome. “At this point in time, it’s still plan A and that’s to stay here and see what we can do because I don’t think (it’s time) to go for plan B because we feel discussion is still possible,” said Mahinda. The MCA have been told to vacate the iconic Kinrara Oval, which houses their headquarters, national players’ hostel and training ground since 2005. With the lease ending on Oct 31, the developer wants back the land. 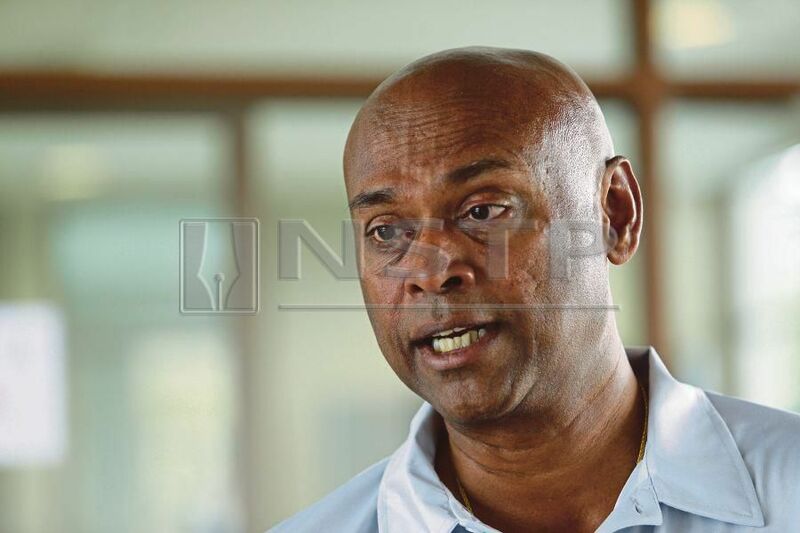 “We want to appeal to everyone to discuss on this,” said Mahinda who also revealed that Deputy Sports Minister Steven Sim has put MCA’s mind at ease following their meeting last Friday. Mahinda said there is to be a three-way discussion among the Sports Ministry, MCA and the developer but the date of the meeting is yet to be confirmed. 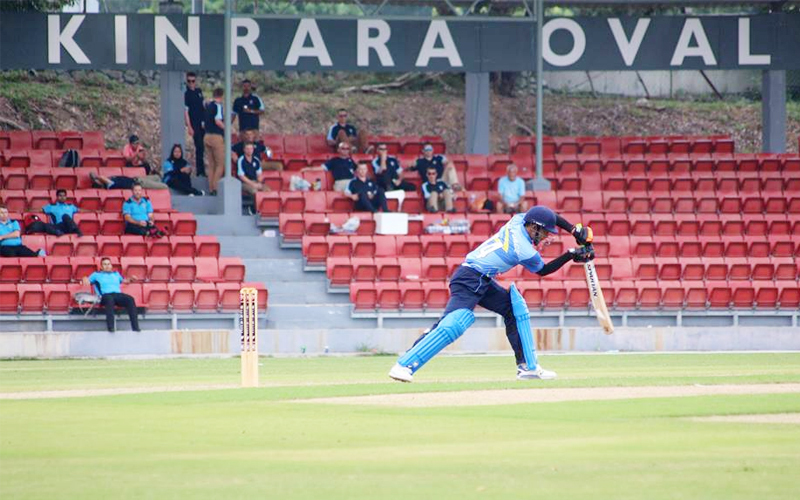 The MCA have spent millions building the Kinrara infrastructure, and ensuring its pitch matches international standards. It has hosted various events including the Under-19 World Cup in 2008. Even though the Oct 31 deadline is weeks away, Mahinda said many notable cricket associations have expressed an interest in holding their tournaments at Kinrara as its pitch is recognised by the International Cricket Council and the Asian Cricket Council. “I know for a fact other countries want to use this (Kinrara Oval) and Hong Kong have used Malaysia thrice. There are some who want to use it for bilateral meets and also the T20 World Cup. “Not only will it give Malaysia a home-grown advantage but it also brings up the country’s name as well,” said Mahinda who added that the pitch costs MCA about RM500,000 to maintain every year. Recently, a group of nearby residents and young cricketers gathered at the Oval to protest against the move by the developer. 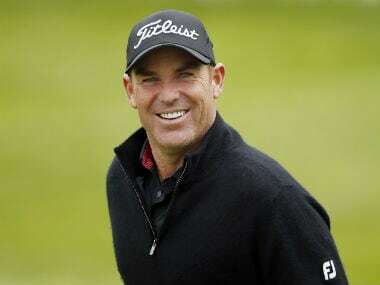 Bengaluru: Shane Warne was appointed to the Marylebone Cricket Club’s (MCC) world cricket committee on Wednesday, replacing fellow Australian and former wicketkeeper Rod Marsh.